1. Togo S, Katagiri N, Namba Y, et al. Sensitive detection of viable circulating tumor cells using a novel conditionally telomerase-selective replicating adenovirus in non-small cell lung cancer patients. Oncotarget 2017; 8(21): 34884-95. 2. Takamochi K, Mogushi K, Kawaji H, et al. Correlation of EGFR or KRAS mutation status with 18F-FDG uptake on PET-CT scan in lung adenocarcinoma. PloS one 2017; 12(4): e0175622. 3. Takamochi K, Imashimizu K, Fukui M, et al. Utility of Objective Chest Tube Management After Pulmonary Resection Using a Digital Drainage System. Ann Thorac Surg 2017; 104(1): 275-83. 4. Tachi R, Hattori A, Matsunaga T, Takamochi K, Oh S, Suzuki K. The impact on the prognosis of unsuspected N2 disease in non-small-cell lung cancer: indications for thorough mediastinal staging in the modern era. Surg Today 2017; 47(1): 20-6. 5. Suzuki K, Watanabe S, Wakabayashi M, et al. A Non-randomized Confirmatory Phase III Study of Sublobar Surgical Resection for Peripheral Ground Glass Opacity Dominant Lung Cancer Defined with Thoracic Thin-section Computed Tomography (JCOG0804/WJOG4507L). Proceeding of the American Society of Clinical Oncology 2017. 6. Matsunaga T, Suzuki K, Takamochi K, Oh S. What is the radiological definition of part-solid tumour in lung cancer?dagger. Eur J Cardiothorac Surg 2017; 51(2): 242-7. 7. Kitamura Y, Suzuki K, Teramukai S, et al. Feasibility of Pulmonary Resection for Lung Cancer in Patients With Coronary Artery Disease or Atrial Fibrillation. Ann Thorac Surg 2017; 103(2): 432-40. 8. Ichikawa T, Saruwatari K, Mimaki S, et al. Immunohistochemical and genetic characteristics of lung cancer mimicking organizing pneumonia. Lung Cancer 2017; 113: 134-9. 9. Hattori A, Matsunaga T, Takamochi K, Oh S, Suzuki K. Surgical Management of Multifocal Ground-Glass Opacities of the Lung: Correlation of Clinicopathologic and Radiologic Findings. Thorac Cardiovasc Surg 2017; 65(2): 142-9. 10. Hattori A, Matsunaga T, Takamochi K, Oh S, Suzuki K. Clinical Significance of Positron Emission Tomography in Subcentimeter Non-Small Cell Lung Cancer. Ann Thorac Surg 2017; 103(5): 1614-20. 11. Hattori A, Matsunaga T, Takamochi K, Oh S, Suzuki K. Locoregional recurrence after segmentectomy for clinical-T1aN0M0 radiologically solid non-small-cell lung carcinoma. Eur J Cardiothorac Surg 2017; 51(3): 518-25. 12. Hattori A, Matsunaga T, Takamochi K, Oh S, Suzuki K. Surgical resection for clinical-Stage I radiological pure-solid lung cancer that met the current high risk criteria. Jpn J Clin Oncol 2017: 1-9. 13. Hattori A, Matsunaga T, Takamochi K, Oh S, Suzuki K. Importance of Ground Glass Opacity Component in Clinical Stage IA Radiologic Invasive Lung Cancer. Ann Thorac Surg 2017; 104(1): 313-20. 14. Hattori A, Matsunaga T, Takamochi K, Oh S, Suzuki K. Indications for sublobar resection of clinical stage IA radiologic pure-solid lung adenocarcinoma. J Thorac Cardiovasc Surg 2017. 15. Hattori A, Matsunaga T, Hayashi T, Takamochi K, Oh S, Suzuki K. Prognostic Impact of the Findings on Thin-Section Computed Tomography in Patients with Subcentimeter Non-Small Cell Lung Cancer. J Thorac Oncol 2017; 12(6): 954-62. 16. Hara K, Saito T, Hayashi T, et al. Inverse correlation between galectin-4 and TTF-1 in lung adenocarcinoma. Virchows Archiv : an international journal of pathology 2017. 17. Fukui M, Takamochi K, Oh S, et al. Study on Perioperative Administration of a Neutrophil Elastase Inhibitor for Interstitial Pneumonias. Ann Thorac Surg 2017; 103(6): 1781-7. 18. Fukui M, Suzuki K, Matsunaga T, Oh S, Takamochi K. Surgical intervention for ground glass dominant lesions: observation or outright resection? Jpn J Clin Oncol 2017: 1-6. 19. Aokage K, Yoshida J, Hishida T, et al. Limited resection for early-stage non-small cell lung cancer as function-preserving radical surgery: a review. Jpn J Clin Oncol 2017; 47(1): 7-11. 20. Aokage K, Okada M, Suzuki K, et al. Is cancer history really an exclusion criterion for clinical trial of lung cancer? Influence of gastrointestinal tract cancer history on the outcomes of lung cancer surgery. Jpn J Clin Oncol 2017; 47(2): 190. 21. Uchida S, Suzuki K, Hattori A, Takamochi K, Oh S. Surgical intervention strategy for postoperative chylothorax after lung resection. Surg Today 2016; 46(2): 197-202. 22. Takamochi K, Ohmiya H, Itoh M, et al. Novel biomarkers that assist in accurate discrimination of squamous cell carcinoma from adenocarcinoma of the lung. BMC cancer 2016; 16(1): 760. 23. Shimada Y, Suzuki K, Okada M, et al. Feasibility and efficacy of salvage lung resection after definitive chemoradiation therapy for Stage III non-small-cell lung cancer. Interact Cardiovasc Thorac Surg 2016; 23(6): 895-901. 24. Oizumi H, Suzuki K, Banno T, Matsunaga T, Oh S, Takamochi K. Patency of grafts after total resection and reconstruction of the superior vena cava for thoracic malignancy. Surg Today 2016; 46(12): 1421-6. 25. Mimae T, Suzuki K, Tsuboi M, et al. Severity of lung fibrosis affects early surgical outcomes of lung cancer among patients with combined pulmonary fibrosis and emphysema. Medicine 2016; 95(29): e4314. 26. Ichikawa T, Hattori A, Suzuki K, et al. Clinicopathological characteristics of lung cancer mimicking organizing pneumonia on computed tomography-a novel radiological entity of pulmonary malignancy. Jpn J Clin Oncol 2016; 46(7): 681-6. 27. Hattori A, Takamochi K, Matsunaga T, Oh S, Suzuki K. Oncological outcomes of sublobar resection for clinical-stage IA high-risk non-small cell lung cancer patients with a radiologically solid appearance on computed tomography. Gen Thorac Cardiovasc Surg 2016; 64(1): 18-24. 28. Hattori A, Matsunaga T, Takamochi K, Oh S, Suzuki K. The oncological outcomes of segmentectomy in clinical-T1b lung adenocarcinoma with a solid-dominant appearance on thin-section computed tomography. Surg Today 2016; 46(8): 914-21. 29. Hattori A, Matsunaga T, Takamochi K, Oh S, Suzuki K. Oncological Characteristics of Radiological Invasive Adenocarcinoma with Additional Ground-Glass Nodules on Initial Thin-Section Computed Tomography: Comparison with Solitary Invasive Adenocarcinoma. J Thorac Oncol 2016; 11(5): 729-36. 30. Hattori A, Matsunaga T, Takamochi K, Oh S, Suzuki K. Neither Maximum Tumor Size nor Solid Component Size Is Prognostic in Part-Solid Lung Cancer: Impact of Tumor Size Should Be Applied Exclusively to Solid Lung Cancer. Ann Thorac Surg 2016; 102(2): 407-15. 31. Hattori A, Maeyashiki T, Matsunaga T, Takamochi K, Oh S, Suzuki K. Predictors of pathological non-invasive lung cancer with pure-solid appearance on computed tomography to identify possible candidates for sublobar resection. Surg Today 2016; 46(1): 102-9. 32. Hata K, Yoshida J, Udagawa H, et al. The difference in Ezrin-pAkt signaling axis between lepidic and papillary predominant invasive adenocarcinomas of the lung. Journal of cancer research and clinical oncology 2016; 142(7): 1421-30. 33. Fukui M, Takamochi K, Matsunaga T, et al. Risk of the preoperative underestimation of tumour size of lung cancer in patients with idiopathic interstitial pneumonias. Eur J Cardiothorac Surg 2016; 50(3): 428-32. 34. Fukui M, Suzuki K, Oh S, et al. Distribution of interstitial pneumonia: a new radiological predictor of 90-day mortality after resection of lung cancer. Surg Today 2016; 46(1): 66-73. 35. Fukui M, Suzuki K, Matsunaga T, Oh S, Takamochi K. Outcomes of lung cancer resection for patients with combined pulmonary fibrosis and emphysema. Surg Today 2016; 46(3): 341-7. 36. Watanabe Y, Kusumoto M, Yoshida A, Suzuki K, Asamura H, Tsuta K. Surgically Resected Solitary Cavitary Lung Adenocarcinoma: Association Between Clinical, Pathologic, and Radiologic Findings and Prognosis. Ann Thorac Surg 2015. 37. Ueno H, Hattori A, Matsunaga T, Takamochi K, Oh S, Suzuki K. Is lower zone mediastinal nodal dissection always mandatory for lung cancer in the lower lobe? Surg Today 2015; 45(11): 1390-5. 38. Tsubokawa N, Mimae T, Aokage K, et al. Surgical outcomes of non-small-cell lung carcinoma in patients previously treated for gastric cancer. Eur J Cardiothorac Surg 2015; 47(4): 648-52. 39. Suzuki M, Shiraishi K, Yoshida A, et al. HER2 gene mutations in non-small cell lung carcinomas: Concurrence with her2 gene amplification and her2 protein expression and phosphorylation. Lung Cancer 2015; 87(1): 14-22. 40. Miyasaka Y, Suzuki K, Oh S, Takamochi K. Cardiomegaly Is a Significant Predictor of Postoperative Atelectasis following Left Upper Superior Segmentectomy. Thorac Cardiovasc Surg 2015; 63(7): 609-13. 41. Mimae T, Suzuki K, Tsuboi M, et al. Surgical Outcomes of Lung Cancer in Patients with Combined Pulmonary Fibrosis and Emphysema. Annals of surgical oncology 2015; 22 Suppl 3: S1371-9. 42. Matsunaga T, Suzuki K, Takamochi K, Oh S. Reply to Riquet et al. Eur J Cardiothorac Surg 2015; 48(1): 176-7. 43. Matsunaga T, Suzuki K, Imashimizu K, Banno T, Takamochi K, Oh S. Body Mass Index as a Prognostic Factor in Resected Lung Cancer: Obesity or Underweight, Which Is the Risk Factor? Thorac Cardiovasc Surg 2015; 63(7): 551-7. 44. Kozu Y, Takamochi K, Oh S, Suzuki K. Long-term survival after superior vena cava resection and reconstruction for bulky local recurrence from lung cancer. Interact Cardiovasc Thorac Surg 2015; 21(4): 545-7. 45. Kozu Y, Oh S, Takamochi K, Suzuki K. Surgical outcomes of pulmonary metastases from esophageal carcinoma diagnosed by both pathological and clinical criteria. Surg Today 2015; 45(9): 1127-33. 46. Kawagoe I, Inada E, Ishikawa S, et al. Perioperative management of carinal pneumonectomy: a retrospective review of 13 patients. Journal of anesthesia 2015; 29(3): 446-9. 47. Hattori A, Suzuki K, Takamochi K, Oh S. Clinical features of multiple lung cancers based on thin-section computed tomography: what are the appropriate surgical strategies for second lung cancers? Surg Today 2015; 45(2): 189-96. 48. Hattori A, Suzuki K, Takamochi K, Oh S. Is Bilateral Pulmonary Lobectomy Feasible in Patients with Bilateral Lung Cancers? Thorac Cardiovasc Surg 2015; 63(7): 589-96. 49. Hattori A, Suzuki K, Takamochi K, Oh S. Reply to Cubuk and Yucel. Eur J Cardiothorac Surg 2015; 48(3): 516-7. 50. Hattori A, Suzuki K, Takamochi K, Oh S. Reply to Baisi et al. Eur J Cardiothorac Surg 2015; 48(3): 517-8. 51. Hattori A, Suzuki K, Matsunaga T, Takamochi K, Oh S. Prognostic Significance of the Standardized Uptake Value on Positron Emission Tomography in Patients with Multiple Clinical-N0 Lung Cancers. Thorac Cardiovasc Surg 2015; 63(7): 597-603. 52. Hattori A, Suzuki K, Matsunaga T, Miyasaka Y, Takamochi K, Oh S. What is the appropriate operative strategy for radiologically solid tumours in subcentimetre lung cancer patients?dagger. Eur J Cardiothorac Surg 2015; 47(2): 244-9. 53. Fujimoto Y, Togo S, Tulafu M, et al. Variation in the expression levels of predictive chemotherapy biomarkers in histological subtypes of lung adenocarcinoma: an immunohistochemical study of tissue samples. International journal of clinical and experimental pathology 2015; 8(9): 10523-33. 54. Watanabe Y, Tsuta K, Kusumoto M, et al. Clinicopathologic features and computed tomographic findings of 52 surgically resected adenosquamous carcinomas of the lung. Ann Thorac Surg 2014; 97(1): 245-51. 55. Watanabe Y, Shiraishi K, Takahashi F, et al. Biomarker Expression and Druggable Gene Alterations for Development of an Appropriate Therapeutic Protocol for Pulmonary Adenosquamous Carcinoma. Histopathology 2014. 56. Tsubokawa N, Mimae T, Aokage K, et al. Surgical outcomes of non-small-cell lung carcinoma in patients previously treated for gastric cancer. Eur J Cardiothorac Surg 2014. 57. Takamochi K, Oh S, Miyasaka Y, et al. Prospective randomized trial comparing buttressed versus nonbuttressed stapling in patients undergoing pulmonary lobectomy. Thorac Cardiovasc Surg 2014; 62(8): 696-704. 58. Soma S, Tsuta K, Takano T, et al. Intratumoral distribution of EGFR-amplified and EGFR-mutated cells in pulmonary adenocarcinoma. Pathology, research and practice 2014; 210(3): 155-60. 59. Sato T, Teramukai S, Kondo H, et al. Impact and predictors of acute exacerbation of interstitial lung diseases after pulmonary resection for lung cancer. J Thorac Cardiovasc Surg 2014; 147(5): 1604-11.e3. 60. Miyasaka Y, Suzuki K, Oh S, Takamochi K. Cardiomegaly Is a Significant Predictor of Postoperative Atelectasis following Left Upper Superior Segmentectomy. Thorac Cardiovasc Surg 2014. 61. Matsunaga T, Suzuki K, Takamochi K, Oh S. Time to refine N2 staging? cN2alpha and cN2beta based on local regional involvement provide a more accurate prognosis in surgically treated IIIA non-small-cell lung cancer than N2 alone or the number of node stations involved. Eur J Cardiothorac Surg 2014; 46(1): 86-91. 62. Matsunaga T, Suzuki K, Takamochi K, Oh S. Reply to Riquet et al. Eur J Cardiothorac Surg 2014. 63. Matsunaga T, Suzuki K, Takamochi K, Oh S. Time to refine N2 staging? cN2alpha and cN2beta based on local regional involvement provide a more accurate prognosis in surgically treated IIIA non-small-cell lung cancer than N2 alone or the number of node stations involveddagger. Eur J Cardiothorac Surg 2014; 46(1): 86-91. 64. Kozu Y, Suzuki K, Oh S, Matsunaga T, Tsushima Y, Takamochi K. Single institutional experience with primary mediastinal cysts: clinicopathological study of 108 resected cases. Annals of thoracic and cardiovascular surgery : official journal of the Association of Thoracic and Cardiovascular Surgeons of Asia 2014; 20(5): 365-9. 65. Kozu Y, Oh S, Takamochi K, Suzuki K. Surgical outcomes of pulmonary metastases from esophageal carcinoma diagnosed by both pathological and clinical criteria. Surg Today 2014. 66. Koga H, Suzuki K, Nishimura K, et al. Comparison of the value of tissue-sealing devices for thoracoscopic pulmonary lobectomy in small children: a first report. Pediatric surgery international 2014; 30(9): 937-40. 67. Kinno T, Tsuta K, Shiraishi K, et al. Clinicopathological features of nonsmall cell lung carcinomas with BRAF mutations. Annals of oncology : official journal of the European Society for Medical Oncology / ESMO 2014; 25(1): 138-42. 68. Kawagoe I, Inada E, Ishikawa S, et al. Perioperative management of carinal pneumonectomy: a retrospective review of 13 patients. Journal of anesthesia 2014. 69. Hattori A, Suzuki K, Takamochi K, Oh S. Is Bilateral Pulmonary Lobectomy Feasible in Patients with Bilateral Lung Cancers? Thorac Cardiovasc Surg 2014. 70. Hattori A, Suzuki K, Takamochi K, Oh S. Clinical features of multiple lung cancers based on thin-section computed tomography: What are the appropriate surgical strategies for second lung cancers? Surg Today 2014. 71. Hattori A, Suzuki K, Matsunaga T, Takamochi K, Oh S. Visceral pleural invasion is not a significant prognostic factor in patients with a part-solid lung cancer. Ann Thorac Surg 2014; 98(2): 433-8. 72. Hattori A, Suzuki K, Matsunaga T, Takamochi K, Oh S. Prognostic Significance of the Standardized Uptake Value on Positron Emission Tomography in Patients with Multiple Clinical-N0 Lung Cancers. Thorac Cardiovasc Surg 2014. 73. Hattori A, Suzuki K, Matsunaga T, et al. Tumour standardized uptake value on positron emission tomography is a novel predictor of adenocarcinoma in situ for c-Stage IA lung cancer patients with a part-solid nodule on thin-section computed tomography scan. Interact Cardiovasc Thorac Surg 2014; 18(3): 329-34. 74. Hattori A, Suzuki K, Maeyashiki T, et al. The presence of air bronchogram is a novel predictor of negative nodal involvement in radiologically pure-solid lung cancer. Eur J Cardiothorac Surg 2014; 45(4): 699-702. 75. Hattori A, Suzuki K, Aokage K, et al. Prognosis of lung cancer patients with a past history of colorectal cancer. Jpn J Clin Oncol 2014; 44(11): 1088-95. 76. Tsushima Y, Jang JH, Yamada Y, et al. The depletion of donor macrophages reduces ischaemia-reperfusion injury after mouse lung transplantation. Eur J Cardiothorac Surg 2013. 77. Tsushima Y, Jang JH, Wurnig MC, et al. Mastering mouse lung transplantation from scratch--a track record. The Journal of surgical research 2013; 185(1): 426-32. 78. Takamochi K, Takeuchi K, Hayashi T, Oh S, Suzuki K. A rational diagnostic algorithm for the identification of ALK rearrangement in lung cancer: a comprehensive study of surgically treated Japanese patients. PloS one 2013; 8(8): e69794. 79. Takamochi K, Oh S, Suzuki K. Differences in EGFR and KRAS mutation spectra in lung adenocarcinoma of never and heavy smokers. Oncology letters 2013; 6(5): 1207-12. 80. Takamochi K, Oh S, Suzuki K. Differences in and mutation spectra in lung adenocarcinoma of never and heavy smokers. Oncology letters 2013; 6(5): 1207-12. 81. Takahashi T, Okazaki T, Doi T, et al. Video-assisted thoracoscopic double lobectomy for bronchiectasis: a case report and literature review. African journal of paediatric surgery : AJPS 2013; 10(3): 289-91. 82. Soma S, Tsuta K, Takano T, et al. Intratumoral distribution of EGFR-amplified and EGFR-mutated cells in pulmonary adenocarcinoma. Pathology, research and practice 2013. 83. Sekiya M, Yoshimi K, Muraki K, et al. Solitary fibrous tumor of the pleura: ultrasonographic imaging findings of 3 cases. Respiratory investigation 2013; 51(3): 200-4. 84. Sato T, Teramukai S, Kondo H, et al. Impact and predictors of acute exacerbation of interstitial lung diseases after pulmonary resection for lung cancer. J Thorac Cardiovasc Surg 2013. 85. Oh S, Suzuki K, Miyasaka Y, Matsunaga T, Tsushima Y, Takamochi K. New technique for lung segmentectomy using indocyanine green injection. Ann Thorac Surg 2013; 95(6): 2188-90. 86. Niho S, Ikeda N, Michimae H, et al. Feasibility trial for adjuvant chemotherapy with docetaxel plus cisplatin followed by single agent long-term administration of S-1 chemotherapy in patients with completely resected non-small cell lung cancer: Thoracic Oncology Research Group Study 0809. Br J Cancer 2013; 109(3): 545-51. 87. Matsunaga T, Suzuki K, Takamochi K, Oh S. Time to refine N2 staging? cN2alpha and cN2beta based on local regional involvement provide a more accurate prognosis in surgically treated IIIA non-small-cell lung cancer than N2 alone or the number of node stations involved. Eur J Cardiothorac Surg 2013. 88. Matsunaga T, Suzuki K, Hattori A, et al. Lung cancer with scattered consolidation: detection of new independent radiological category of peripheral lung cancer on thin-section computed tomography. Interact Cardiovasc Thorac Surg 2013; 16(4): 445-9. 89. Maeyashiki T, Suzuki K, Hattori A, Matsunaga T, Takamochi K, Oh S. The size of consolidation on thin-section computed tomography is a better predictor of survival than the maximum tumour dimension in resectable lung cancer. Eur J Cardiothorac Surg 2013; 43(5): 915-8. 90. Koga H, Suzuki K, Nishimura K, et al. Traction sutures allow endoscopic staples to be used safely during thoracoscopic pulmonary lobectomy in children weighing less than 15 kg. Journal of laparoendoscopic & advanced surgical techniques Part A 2013; 23(1): 81-3. 91. Hayashi T, Saito T, Fujimura T, et al. Galectin-4, a novel predictor for lymph node metastasis in lung adenocarcinoma. PloS one 2013; 8(12): e81883. 92. Hattori A, Suzuki K, Takamochi K, Oh S. Clinicopathological features of subcentimeter lung cancer. Ann Thorac Surg (in press) 2013. 93. Asamura H, Hishida T, Suzuki K, et al. Radiographically determined noninvasive adenocarcinoma of the lung: survival outcomes of Japan Clinical Oncology Group 0201. J Thorac Cardiovasc Surg 2013; 146(1): 24-30. 94. Takamochi K, Oh S, Matsuoka J, Suzuki K. Clonality status of multifocal lung adenocarcinomas based on the mutation patterns of EGFR and K-ras. Lung Cancer 2012; 75(3): 313-20. 95. Sugasawa Y, Yamaguchi K, Kumakura S, et al. Effects of sevoflurane and propofol on pulmonary inflammatory responses during lung resection. Journal of anesthesia 2012; 26(1): 62-9. 96. Mizuno Y, Iwata H, Shirahashi K, et al. The importance of intraoperative fluid balance for the prevention of postoperative acute exacerbation of idiopathic pulmonary fibrosis after pulmonary resection for primary lung cancer. Eur J Cardiothorac Surg 2012; 41(6): e161-5. 97. Miyasaka Y, Suzuki K, Takamochi K, Matsunaga T, Oh S. The maximum standardized uptake value of fluorodeoxyglucose positron emission tomography of the primary tumour is a good predictor of pathological nodal involvement in clinical N0 non-small-cell lung cancer. Eur J Cardiothorac Surg 2012. 98. Hirayama S, Ishii G, Nagai K, et al. Prognostic impact of CD204-positive macrophages in lung squamous cell carcinoma: possible contribution of Cd204-positive macrophages to the tumor-promoting microenvironment. J Thorac Oncol 2012; 7(12): 1790-7. 99. Hattori A, Suzuki K, Matsunaga T, et al. Is limited resection appropriate for radiologically "solid" tumors in small lung cancers? Ann Thorac Surg 2012; 94(1): 212-5. 100. Takamochi K, Oh S, Matsuoka J, Suzuki K. Risk factors for morbidity after pulmonary resection for lung cancer in younger and elderly patients. Interact Cardiovasc Thorac Surg 2011; 12(5): 739-43. 101. Takahashi N, Suzuki K, Takamochi K, Oh S. Prognosis of surgically resected lung cancer with extremely high preoperative serum carcinoembryonic antigen level. Gen Thorac Cardiovasc Surg 2011; 59(10): 699-704. 102. Suzuki K, Koike T, Asakawa T, et al. A prospective radiological study of thin-section computed tomography to predict pathological non-invasiveness in peripheral clinical IA lung cancer (JCOG0201). J Thorac Oncol 2011; 6: 751-6. 103. Sugasawa Y, Yamaguchi K, Kumakura S, et al. The effect of one-lung ventilation upon pulmonary inflammatory responses during lung resection. Journal of anesthesia 2011; 25(2): 170-7. 104. Sakuraba M, Takahashi N, Oh S, Miyasaka Y, Inagaki T, Suzuki K. Long-term survival after complete mediastinal lymph node resection and lobectomy in patients with bulky N2 non-small cell lung cancer. Annals of thoracic and cardiovascular surgery : official journal of the Association of Thoracic and Cardiovascular Surgeons of Asia 2011; 17(2): 124-9. 105. Miyasaka Y, Oh S, Takahashi N, Takamochi K, Suzuki K. Postoperative complications and respiratory function following segmentectomy of the lung - comparison of the methods of making an inter-segmental plane. Interact Cardiovasc Thorac Surg 2011; 12(3): 426-9. 106. Kozu Y, Tsuta K, Kohno T, et al. The usefulness of mutation-specific antibodies in detecting epidermal growth factor receptor mutations and in predicting response to tyrosine kinase inhibitor therapy in lung adenocarcinoma. Lung Cancer 2011; 73(1): 45-50. 107. Ichinokawa H, Ishii G, Nagai K, et al. Clinicopathological characteristics of primary lung adenocarcinoma predominantly composed of goblet cells in surgically resected cases. Pathol Int 2011; 61(7): 423-9. 108. Zhou Q, Suzuki K, Anami Y, Oh S, Takamochi K. Clinicopathologic features in resected subcentimeter lung cancer--status of lymph node metastases. Interact Cardiovasc Thorac Surg 2010; 10(1): 53-7. 109. Takamochi K, Oh S, Suzuki K. Prognostic evaluation of nodal staging based on the new IASLC lymph node map for lung cancer. Thorac Cardiovasc Surg 2010; 58(6): 345-9. 110. Sakuraba M, Takahashi N, Akahoshi T, Miyasaka Y, Suzuki K. Experience of silicone gel sheets for patients with keloid scars after median sternotomy. Gen Thorac Cardiovasc Surg 2010; 58(9): 467-70. 111. Kohno T, Kakinuma R, Iwasaki M, et al. Association of CYP19A1 polymorphisms with risks for atypical adenomatous hyperplasia and bronchioloalveolar carcinoma in the lungs. Carcinogenesis 2010; 31(10): 1794-9. 112. 市ノ川英臣, 櫻庭幹, 高持一矢, 志明 王, 鈴木健司. １２年間の経過を追った肺多形性腺腫の一例. 日本呼吸器外科学会雑誌 2009; 23(2): 174-8. 113. 宮坂善和, 櫻庭幹, 志明 王, 高持一矢, 宮元秀昭, 鈴木健司. 横隔膜異所性子宮内膜症を合併したBHD症候群の一例. 日本呼吸器外科学会雑誌 2009; 23(4): 641-6. 114. Sakuraba M, Miyamoto H, Oh S, Takahashi N, Miyasaka Y, Suzuki K. Resuture using Shirodkar tape for sternal dehiscence after extended thymectomy via median sternotomy. Gen Thorac Cardiovasc Surg 2009; 57(6): 318-20. 115. Nakanishi H, Matsumoto S, Iwakawa R, et al. Whole genome comparison of allelic imbalance between noninvasive and invasive small-sized lung adenocarcinomas. Cancer Res 2009; 69(4): 1615-23. 116. Anami Y, Iijima T, Suzuki K, et al. Bronchioloalveolar Carcinoma (Lepidic Growth) Component Is a More Useful Prognostic Factor than Lymph Node Metastasis. J Thorac Oncol 2009. 117. Watanabe S, Suzuki K, Asamura H. Superior and basal segment lung cancers in the lower lobe have different lymph node metastatic pathways and prognosis. Ann Thorac Surg 2008; 85(3): 1026-31. 118. Kohno T, Kunitoh H, Suzuki K, et al. Association of KRAS polymorphisms with risk for lung adenocarcinoma accompanied by atypical adenomatous hyperplasias. Carcinogenesis 2008; 29(5): 957-63. 119. Kawaguchi T, Watanabe S, Kawachi R, Suzuki K, Asamura H. The impact of residual tumor morphology on prognosis, recurrence, and fistula formation after lung cancer resection. J Thorac Oncol 2008; 3(6): 599-603. 120. Kawachi R, Watanabe S, Suzuki K, Asamura H. Clinical application of costal coaptation pins made of hydroxyapatite and poly-L-lactide composite for posterolateral thoracotomy. Eur J Cardiothorac Surg 2008; 34(3): 510-3. 121. Iwakawa R, Kohno T, Anami Y, et al. Association of p16 homozygous deletions with clinicopathologic characteristics and EGFR/KRAS/p53 mutations in lung adenocarcinoma. Clin Cancer Res 2008; 14(12): 3746-53. 122. Yoshida Y, Kokubu A, Suzuki K, et al. Molecular markers and changes of computed tomography appearance in lung adenocarcinoma with ground-glass opacity. Jpn J Clin Oncol 2007; 37(12): 907-12. 123. Matsumoto S, Iwakawa R, Takahashi K, et al. Prevalence and specificity of LKB1 genetic alterations in lung cancers. Oncogene 2007; 26(40): 5911-8. 124. Kunitoh H, Suzuki K. How to evaluate the risk/benefit of trimodality therapy in locally advanced non-small-cell lung cancer. Br J Cancer 2007; 96(10): 1498-503. 125. Koide N, Kondo H, Suzuki K, Asamura H, Shimada K, Tsuchiya R. Surgical treatment of pulmonary metastasis from hepatocellular carcinoma. Hepatogastroenterology 2007; 54(73): 152-6. 126. Kato Y, Tsuta K, Seki K, et al. Immunohistochemical detection of GLUT-1 can discriminate between reactive mesothelium and malignant mesothelioma. Mod Pathol 2007; 20(2): 215-20. 127. Tsushima Y, Suzuki K, Watanabe S, et al. Multiple lung adenocarcinomas showing ground-glass opacities on thoracic computed tomography. Ann Thorac Surg 2006; 82(4): 1508-10. 128. Suzuki K, Kusumoto M, Watanabe S, Tsuchiya R, Asamura H. Radiologic classification of small adenocarcinoma of the lung: radiologic-pathologic correlation and its prognostic impact. Ann Thorac Surg 2006; 81(2): 413-9. 129. Matsumoto S, Iwakawa R, Kohno T, et al. Frequent EGFR mutations in noninvasive bronchioloalveolar carcinoma. Int J Cancer 2006; 118(10): 2498-504. 130. Kato Y, Tsuta K, Seki K, et al. Immunohistochemical detection of GLUT-1 can discriminate between reactive mesothelium and malignant mesothelioma. Mod Pathol 2006. 131. Watanabe S, Suzuki K, Asamura H. [Controversies of video-assisted thoracic surgery (VATS)]. Nippon Geka Gakkai Zasshi 2005; 106(4): 313-9. 132. Watanabe S, Asamura H, Suzuki K, Tsuchiya R. The new strategy of selective nodal dissection for lung cancer based on segment-specific patterns of nodal spread. Interactive CardioVascular and Thoracic Surgery 2005; 4: 106-9. 133. Watanabe S, Asamura H, Suzuki K, Tsuchiya R. Problems in diagnosis and surgical management of clinical N1 non-small cell lung cancer. Ann Thorac Surg 2005; 79(5): 1682-5. 134. Tsuchiya R, Suzuki K, Ichinose Y, et al. Phase II trial of postoperative adjuvant cisplatin and etoposide in patients with completely resected stage I-IIIa small cell lung cancer: the Japan Clinical Oncology Lung Cancer Study Group Trial (JCOG9101). J Thorac Cardiovasc Surg 2005; 129(5): 977-83. 135. Takamochi K, Yoshida J, Murakami K, et al. Pitfalls in lymph node staging with positron emission tomography in non-small cell lung cancer patients. Lung Cancer 2005; 47(2): 235-42. 136. Sakurai H, Kondo H, Sekiguchi A, et al. Left pneumonectomy for lung cancer after correction of contralateral partial anomalous pulmonary venous return. Ann Thorac Surg 2005; 79(5): 1778-80. 137. Watanabe S, Asamura H, Suzuki K, Tsuchiya R. Recent results of postoperative mortality for surgical resections in lung cancer. Ann Thorac Surg 2004; 78(3): 999-1002; discussion -3. 138. Takamochi K, Yoshida J, Nishimura M, et al. Prognosis and histologic features of small pulmonary adenocarcinoma based on serum carcinoembryonic antigen level and computed tomographic findings. Eur J Cardiothorac Surg 2004; 25(5): 877-83. 139. Takamochi K, Ogura T, Yokose T, et al. Molecular analysis of the TSC1 gene in adenocarcinoma of the lung. Lung Cancer 2004; 46(3): 271-81. 140. Suzuki K, Asamura H, Watanabe S, Tsuchiya R. Combined resection of superior vena cava for lung carcinoma: prognostic significance of patterns of superior vena cava invasion. Ann Thorac Surg 2004; 78(4): 1184-9; discussion -9. 141. Sakurai H, Maeshima A, Watanabe S, et al. Grade of stromal invasion in small adenocarcinoma of the lung: histopathological minimal invasion and prognosis. Am J Surg Pathol 2004; 28(2): 198-206. 142. Sakurai H, Hasegawa T, Watanabe S, Suzuki K, Asamura H, Tsuchiya R. Inflammatory myofibroblastic tumor of the lung. Eur J Cardiothorac Surg 2004; 25(2): 155-9. 143. Sakurai H, Asamura H, Watanabe S, Suzuki K, Tsuchiya R. Clinicopathologic features of peripheral squamous cell carcinoma of the lung. Ann Thorac Surg 2004; 78(1): 222-7. 144. Sakurai H, Asamura H, Suzuki K, Watanabe S, Tsuchiya R. Management of primary malignant germ cell tumor of the mediastinum. Jpn J Clin Oncol 2004; 34(7): 386-92. 145. Oshiro Y, Kusumoto M, Matsuno Y, et al. CT findings of surgically resected large cell neuroendocrine carcinoma of the lung in 38 patients. AJR Am J Roentgenol 2004; 182(1): 87-91. 146. Asamura H, Nakagawa K, Matsuno Y, Suzuki K, Watanabe S, Tsuchiya R. Thymoma needs a new staging system. Interact Cardiovasc Thorac Surg 2004; 3(1): 163-7. 147. Ohde Y, Nagai K, Yoshida J, et al. The proportion of consolidation to ground-glass opacity on high resolution CT is a good predictor for distinguishing the population of non-invasive peripheral adenocarcinoma. Lung Cancer 2003; 42(3): 303-10. 148. Nakagawa K, Asamura H, Matsuno Y, et al. Thymoma: a clinicopathologic study based on the new World Health Organization classification. J Thorac Cardiovasc Surg 2003; 126(4): 1134-40. 149. Hotta K, Sekine I, Suzuki K, et al. Distant failure after treatment of postoperative locoregional recurrence of non-small cell lung cancer. Thorac Cardiovasc Surg 2003; 51(5): 283-7. 150. Hishida T, Hasegawa T, Asamura H, et al. Malignant glomus tumor of the lung. Pathol Int 2003; 53(9): 632-6. 151. Asamura H, Suzuki K, Watanabe S, Matsuno Y, Maeshima A, Tsuchiya R. A clinicopathological study of resected subcentimeter lung cancers: a favorable prognosis for ground glass opacity lesions. Ann Thorac Surg 2003; 76(4): 1016-22. 152. 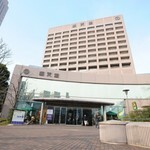 Takei H, Suzuki K, Asamura H, Kondo H, Tsuchiya R. Successful pulmonary resection of lung cancer in a patient with partial anomalous pulmonary venous connection: report of a case. Surg Today 2002; 32(10): 899-901. 153. Takei H, Asamura H, Maeshima A, et al. Large cell neuroendocrine carcinoma of the lung: a clinicopathologic study of eighty-seven cases. J Thorac Cardiovasc Surg 2002; 124(2): 285-92. 154. Suzuki K, Asamura H, Kusumoto M, Kondo H, Tsuchiya R. "Early" Peripheral Lung Cancer: Prognostic Significance of Ground Glass Opacity on Thin-section Computed Tomographic Scan. Ann Thorac Surg 2002; 74: 1635-9. 155. Oshiro Y, Kusumoto M, Moriyama N, et al. Intrapulmonary lymph nodes: thin-section CT features of 19 nodules. J Comput Assist Tomogr 2002; 26(4): 553-7. 156. Kondo H, Suzuki K, Asamura H, Tsuchiya R. [Standard surgical procedures in lung cancer]. Nippon Rinsho 2002; 60(Suppl 5): 388-91. 157. Asamura H, Suzuki K, Kondo H, Tsuchiya R. Mechanical vascular division in lung resection. Eur J Cardiothorac Surg 2002; 21(5): 879-82. 158. Terasaki H, Niki T, Hasegawa T, et al. Primary synovial sarcoma of the lung: a case report confirmed by molecular detection of SYT-SSX fusion gene transcripts. Jpn J Clin Oncol 2001; 31(5): 212-6. 159. Takamochi K, Ogura T, Suzuki K, et al. Loss of heterozygosity on chromosomes 9q and 16p in atypical adenomatous hyperplasia concomitant with adenocarcinoma of the lung. Am J Pathol 2001; 159(5): 1941-8. 160. Takamochi K, Nagai K, Yoshida J, et al. Pathologic N0 status in pulmonary adenocarcinoma is predictable by combining serum carcinoembryonic antigen level and computed tomographic findings. J Thorac Cardiovasc Surg 2001; 122(2): 325-30. 161. Suzuki K, Nagai K, Yoshida J, Nishimura M, Nishiwaki Y. Predictors of lymph node and intrapulmonary metastasis in clinical stage IA non-small cell lung carcinoma. Ann Thorac Surg 2001; 72(2): 352-6. 162. Okumura T, Kondo H, Suzuki K, et al. Fluoroscopy-assisted thoracoscopic surgery after computed tomography-guided bronchoscopic barium marking. Ann Thorac Surg 2001; 71(2): 439-42. 163. Okumura T, Asamura H, Suzuki K, Kondo H, Tsuchiya R. Intrapulmonary metastasis of non-small cell lung cancer: a prognostic assessment. J Thorac Cardiovasc Surg 2001; 122(1): 24-8. 164. Ohe Y, Yamamoto S, Suzuki K, et al. Risk factors of treatment-related death in chemotherapy and thoracic radiotherapy for lung cancer. Eur J Cancer 2001; 37(1): 54-63. 165. Oda M, Tsuchiya R, Suzuki K, et al. Patterns of Failure in Phase II Trial of Postoperative Adjuvant Cisplatin and Etoposide in Patients with Completely Resected Stage I - IIIa Small Cell Lung Cancer: The Japan Clinical Oncology Lung Cancer Study Group Trial (JCOG9101). Proceedings of ASCO 2001; 20: 316a. 166. Kawasaki H, Nagai K, Yokose T, et al. Clinicopathological characteristics of surgically resected lung cancer associated with idiopathic pulmonary fibrosis. J Surg Oncol 2001; 76(1): 53-7. 167. Carbone E, Asamura H, Takei H, et al. T2 tumors larger than five centimeters in diameter can be upgraded to T3 in non-small cell lung cancer. J Thorac Cardiovasc Surg 2001; 122(5): 907-12. 168. Yokose T, Suzuki K, Nagai K, Nishiwaki Y, Sasaki S, Ochiai A. Favorable and unfavorable morphological prognostic factors in peripheral adenocarcinoma of the lung 3 cm or less in diameter. Lung Cancer 2000; 29(3): 179-88. 169. Yamaguchi T, Suzuki K, Asamura H, et al. Lung carcinoma with polypoid growth in the main pulmonary artery: report of two cases. Jpn J Clin Oncol 2000; 30(8): 358-61. 170. Takamochi K, Nagai K, Yoshida J, et al. The role of computed tomographic scanning in diagnosing mediastinal node involvement in non-small cell lung cancer. J Thorac Cardiovasc Surg 2000; 119(6): 1135-40. 171. Takamochi K, Nagai K, Suzuki K, Yoshida J, Ohde Y, Nishiwaki Y. Clinical predictors of N2 disease in non-small cell lung cancer. Chest 2000; 117(6): 1577-82. 172. Suzuki K, Yokose T, Yoshida J, et al. Prognostic significance of the size of central fibrosis in peripheral adenocarcinoma of the lung. Ann Thorac Surg 2000; 69(3): 893-7. 173. Suzuki K, Tsuchiya R, Ichinose Y, et al. Phase II Trial of Postoperative Adjuvant Cisplatin and Etoposide in Patients with Completely Resected Stage I - IIIa Small Cell Lung Cancer: The Japan Clinical Oncology Lung Cancer Study Group Trial (JCOG9101). Proceedings of ASCO 2000; 19: 492a. 174. Suzuki K, Asamura H, Kondo H, Kusumoto M, Tsuchiya R. Clinical predictors of minimally invasive peripheral adenocarcinoma of the lung: Possible indications for limited surgical resection. Lung Cancer 2000; 29(S1): 142. 175. Asamura H, Suzuki K, Kondo H, Tsuchiya R. Where is the boundary between N1 and N2 stations in lung cancer? Ann Thorac Surg 2000; 70(6): 1839-45; discussion 45-6. 176. 鈴木健司, 横瀬智之, 吉岡孝, et al. 肺腺癌中心部瘢痕の割合と野口分類：野口のC型腺癌の亜分類の可能性. 肺癌 1999; 39(1): 3-11. 177. Suzuki K, Yoshida J, Nishimura M, Takahashi K, Nagai K. Postoperative mediastinal chyloma. Ann Thorac Surg 1999; 68(5): 1857-8. 178. Suzuki K, Nagai K, Yoshida J, et al. Video-assisted thoracoscopic surgery for small indeterminate pulmonary nodules: indications for preoperative marking. Chest 1999; 115(2): 563-8. 179. Suzuki K, Nagai K, Yoshida J, et al. Conventional clinicopathologic prognostic factors in surgically resected nonsmall cell lung carcinoma. A comparison of prognostic factors for each pathologic TNM stage based on multivariate analyses. Cancer 1999; 86(10): 1976-84. 180. Suzuki K, Nagai K, Yoshida J, Nishimura M, Takahashi K, Nishiwaki Y. The prognosis of surgically resected N2 non-small cell lung cancer: the importance of clinical N status. J Thorac Cardiovasc Surg 1999; 118(1): 145-53. 181. Suzuki K, Nagai K, Yoshida J, Nishimura M, Takahashi K, Nishiwaki Y. Clinical predictors of N2 disease in the setting of a negative computed tomographic scan in patients with lung cancer. J Thorac Cardiovasc Surg 1999; 117(3): 593-8. 182. Suzuki K, Nagai K, Yoshida J, et al. Prognostic factors in clinical stage I non-small cell lung cancer. Ann Thorac Surg 1999; 67(4): 927-32. 183. Sekine I, Nishiwaki Y, Yokose T, Nagai K, Suzuki K, Kodama T. Young lung cancer patients in Japan: different characteristics between the sexes. Ann Thorac Surg 1999; 67(5): 1451-5. 184. Sekine I, Nagai K, Tsugane S, et al. Association between smoking and tumor progression in Japanese women with adenocarcinoma of the lung. Jpn J Cancer Res 1999; 90(2): 129-35. 185. Niho S, Yokose T, Suzuki K, Kodama T, Nishiwaki Y, Mukai K. Monoclonality of atypical adenomatous hyperplasia of the lung [In Process Citation]. Am J Pathol 1999; 154(1): 249-54. 186. Suzuki K, Yoshida J, Takahashi K, et al. Isolated mediastinal Hodgkin's disease mimicking thymoma: report of a case. Surg Today 1998; 28(2): 213-6. 187. Suzuki K, Takahashi K, Yoshida J, et al. Synchronous double primary lung carcinomas associated with multiple atypical adenomatous hyperplasia. Lung Cancer 1998; 19(2): 131-9. 188. Suzuki K, Ogura T, Yokose T, et al. Microsatellite instability in female non-small-cell lung cancer patients with familial clustering of malignancy. Br J Cancer 1998; 77(6): 1003-8. 189. Suzuki K, Ogura T, Yokose T, et al. Loss of heterozygosity in the tuberous sclerosis gene associated regions in adenocarcinoma of the lung accompanied by multiple atypical adenomatous hyperplasia. Int J Cancer 1998; 79(4): 384-9. 190. Suzuki K, Moriyama N, Yokose T, et al. Preliminary study of percutaneous alcohol injection into the lung. Jpn J Cancer Res 1998; 89(1): 89-95. 191. Sekine I, Kodama T, Yokose T, et al. Rare pulmonary tumors - a review of 32 cases. Oncology 1998; 55(5): 431-4. 192. Niho S, Suzuki K, Yokose T, Kodama T, Nishiwaki Y, Esumi H. Monoclonality of both pale cells and cuboidal cells of sclerosing hemangioma of the lung [In Process Citation]. Am J Pathol 1998; 152(4): 1065-9. 193. Kawasaki H, Yoshida J, Yokose T, et al. Primary unknown cancer in pulmonary hilar lymph node with spontaneous transient regression: report of a case. Jpn J Clin Oncol 1998; 28(6): 405-9. 194. Suzuki K, Nagai K, Yoshida J, et al. The prognosis of resected lung carcinoma associated with atypical adenomatous hyperplasia: a comparison of the prognosis of well- differentiated adenocarcinoma associated with atypical adenomatous hyperplasia and intrapulmonary metastasis. Cancer 1997; 79(8): 1521-6. 195. Sekine I, Yokose T, Ogura T, et al. Microsatellite instability in lung cancer patients 40 years of age or younger. Jpn J Cancer Res 1997; 88(6): 559-63. 1. Young Investigator Award, Suzuki K, Ogura T, Yokose T, Sekine I, Nagai K, Kodama T, Mukai K, Nishiwaki Y, Esumi H. Microsatellite instability in female non-small-cell lung cancer patients with familial clustering of malignancy. The 8th IASLC World Conference on Lung Cancer, Dublin, Ireland 1997. 2. Merit Award, Suzuki K, Nagai K, Yoshida J, Nishimura M, Takahashi K, Nishiwaki Y. Clinical predictors of N2 disease in the setting of a negative computed tomographic scan in patients with lung cancer. The 34th ASCO Annual Meeting, Orland, US 1998. 3. Suzuki K, Nagai K, Yoshida J, Ohmatsu H, Takahashi K, Nishimura M, Nishiwaki Y. Video-assisted thoracoscopic surgery for small indeterminate pulmonary nodules: indications for preoperative marking. VATS 98, Tokyo, Japan 1998. 4. Suzuki K, Nagai K, Nishimura M, Nishiwaki Y. Predictors for extrathoracic metastasis in lung cancer. The 35th ASCO Annual Meeting, Atlanta, US 1999. 5. Suzuki K, Asamura H, Tsuchiya R. Clinical predictors for minimally invasive adenocarcinoma of the lung. The 9th IASLC World Conference on Lung Cancer, Tokyo, Japan 2000. 6. Suzuki K, Tsuchiya R, Ichinose Y, Watanabe Y, Yasumitsu T, Ishizuka N, Kato H: Phase II Trial of Postoperative Adjuvant Cisplatin and Etoposide in Patients with Completely Resected Stage I - IIIa Small Cell Lung Cancer: The Japan Clinical Oncology Lung Cancer Study Group Trial (JCOG9101).The 36th ASCO Annual Meeting, New Orleans, US 2000. 7. Suzuki K, Asamura H, Tsuchiya R. Clinical predictors for postoperative brain metastasis in lung cancer. The 37th ASCO Annual Meeting, San Francisco, US 2001. 8. Suzuki K. Surgery for Small Cell Lung Cancer. IASLC Workshop, Osaka, Japan 2002. 9. Suzuki K. Combined modal treatment for advanced lung cancer. The 9th Central European Lung Cancer Conference, Gdańsk, Poland 2004. 10. Suzuki K, Asamura H, Watanabe S, Tsuchiya R. Combined resection of superior vena cava for lung carcinoma: prognostic significance of patterns of superior vena cava invasion. The 40th STS Annual Meeting, San Antonio, US 2004. 11. Suzuki K. Surgery for small lung nodules: Educational Session. IASLC 11th World Conference on Lung Cancer, Barcelona, Spain 2005. 12. Suzuki K. Combined modal treatment for Pancoast tumors. IASLC 11th World Conference on Lung Cancer, Barcelona, Spain 2005. 13. Suzuki K, Asamura H. A Prospective Study of Clinical Interventions for Peripheral Lung Cancer. Meeting for Screening for Lung Cancer, Nara, Japan 2005. 14. Suzuki K, Koike T, Kato H, Fukuda H. Radiological pathological correlation in small adenocarcinoma of the lung (JCOG0201). The 42nd ASCO annual meeting, Chicago, US 2006. 15. Suzuki K, Asamura H, Watanabe S. Predictors of Pathological Early Lung Adenocarcinoma among Clinical IA Disease: Possible Indication for Lesser Surgical Resection. IASLC 12th World Congress on Lung Cancer, Seoul, Korea 2007. 16. Suzuki K. Limited Surgical Resection for Small-sized Non-small Cell Lung Cancer. Kyoto international meeting on lung cancer, Kyoto, Japan 2007. Asian Society for Cardiovascular and Thoracic Surgery, Taipei 2009. 18. Suzuki K. JCOG’s Clinical Trials: Limited Surgical Resection vs. Major Lung Resection The 5th Meeting of Asian Thoracic Surgical Club, Fukuoka, Japan 2009. 19. Suzuki K, Takamochi K, Oh S. LUNG CANCER IN WOMEN: Prognostic Difference in Gender Difference The 17th ESTS, Krakow, Poland 2009. How much Staging? The 13th IASLC World Congress on Lung Cancer, San Francisco, US 2009. 21. Suzuki K. Double Sleeve Resection and Segmentectomy for Lung Cancer, Let’s Talk with Dr. Pearson, Tokyo, Japan 2010. 22. Suzuki K. Pleuropneumonectomy for MPM. Juntendo International Conference, Hongo, Japan 2010. 23. Suzuki K. Right S3 Segmentectomy. The First Joint ESTS-IASLC-JACS Workshop on Segmentectomy, Marseille, France 2011. ESTS-AATS-STS-JACS Postgraduate Course, Marseille, France 2011. 25. Suzuki K. Management of the Patient with Multiple Synchronous/Metachronous Pulmonary Lesions: Lebectomies, Segmentectomies, Wedge Resections, Simultaneous, Staged, How much Staging? The 14th IASLC World Congress on Lung Cancer, Amsterdam, Netherland 2011. 26. Suzuki K. Ground Glass Opacity What is the Best Treatment? Or No Need to Be Treated? SNU oncology conference, Seoul, Korea 2011. The Importance of Fibrin Sealing, Gwangju, Korea 2011. 28. Suzuki K. The Importance of Echelon Flex in Extended Surgery and Segmentectomy of the Lung. The 43rd The Annual Meeting of the Korean Society of Thoracic and Cardiovascular Surgery, Gwangju, Korea 2011. 29. Suzuki K. Consolidation as a New T Factor instead of Maximum Tumor Dimension on Thin Section CT. SNU conference, Seoul 2012. 30. Suzuki K. Sublobar resection for early lung cancer. Grand Rounds at Zurich University, Zurich, Switzerland, June 14th 2012.